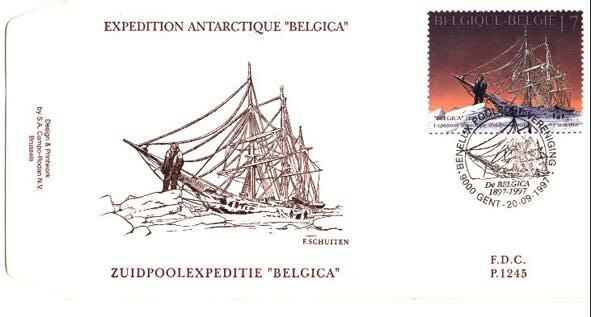 Belgica (Belgium in Latin) is the name of an expedition to Antarctica in 1897-98 AD, that greatly contributed to increase our knowledge of this part of our world. François Schuiten and P.P.G. De Schutter created a stamp that was issued on 23th May 1997. In 1896, after a period of intensive lobbying, Adrien de Gerlache purchased the Norwegian-built whaling ship Patria, which, following an extensive refit, he renamed as the Belgica. De Gerlache had worked together with the Geographical Society of Brussels to organise a national subscription, but was only possible to outfit his expedition after the Belgian government voted in favor of two large subsidies, making it a state-supported undertaking. With a multinational crew, which included Roald Amundsen, Frederick Cook and Henryk Arctowski, they set sail from Antwerp on 16 August 1897. After leaving Antwerp, the expedition visited Madeira, Rio de Janeiro and Montevideo. The Belgica was especially received enthusiastically in Rio, where a large Belgian community lived. But, the Brazilians were also very much interested in the Belgian scientific undertaking. The Historical and Geographical Society of Rio held a special meeting where the scientists and officers of the expedition were offered membership. A few weeks later, in Montevideo, Amundsen wrote in his diary that he had never seen so many beautiful women 'in one place at the same time'. 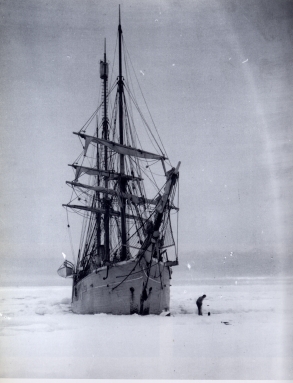 Failing to find a way through into the Weddell Sea, on 28 February 1898, de Gerlache's expedition became trapped in the ice of the Bellinghausen Sea, near Peter I Island. 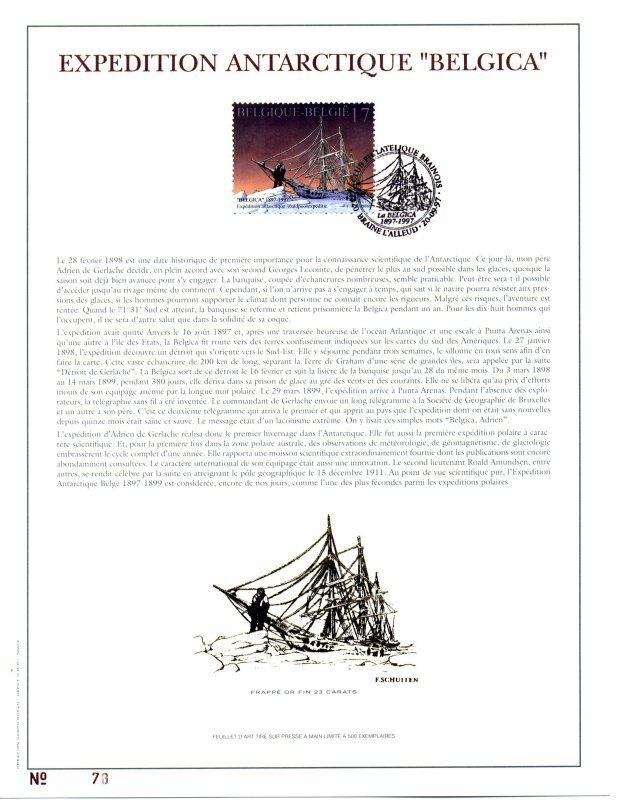 De Gerlache is likely to have intentionally sailed deep into the pack ice in order to freeze his vessel into the ice for the winter. Despite efforts of the crew to free the ship, they quickly realised that they would be forced to spend the winter on Antarctica. They were poorly equipped and did not have enough winter clothing for every man on board. There was a shortage of food, and what there was lacked in variety. Penguins and seals were killed and the meat stored before the onset of winter. Warm clothing was improvised out of the materials available.